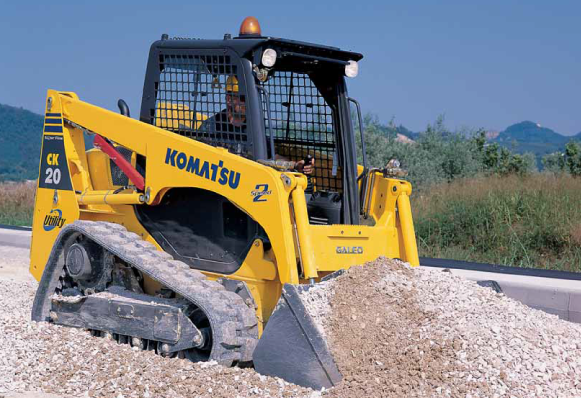 Highly versatile and compact, the SK714-5 skid steer loader is the result of the competence and technology that Komatsu has acquired over the past 80 years. Developed with constant attention to the needs of customers from all around the world, the end product is a userfriendly skid steer loader with top-class performances. 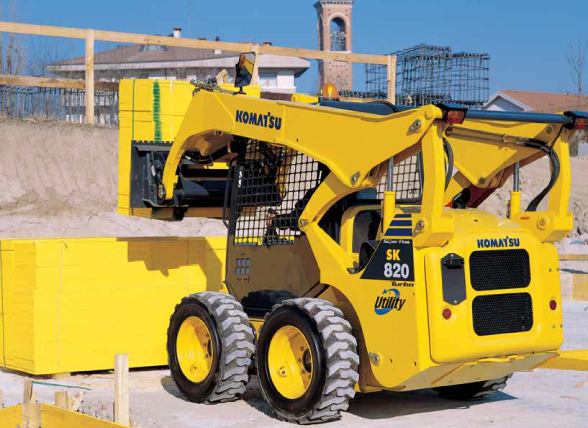 Highly versatile and compact, the SK820-5 skid steer loader is the result of the competence and technology that Komatsu has acquired over the past 80 years. 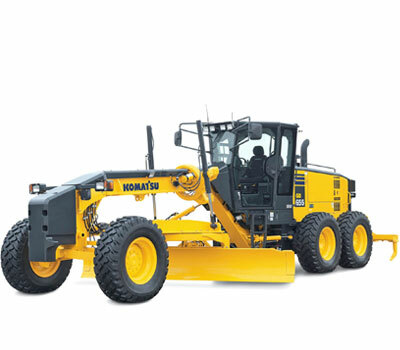 Developed with constant attention to the needs of customers from all around the world, the end product is a userfriendly skid steer loader with top-class performances. Extremely compact, agile and fast,the SK1020-5 performs best in small places. Thanks to its short clearance circle and user friendly controls, steering operations are always possible in complete safety. 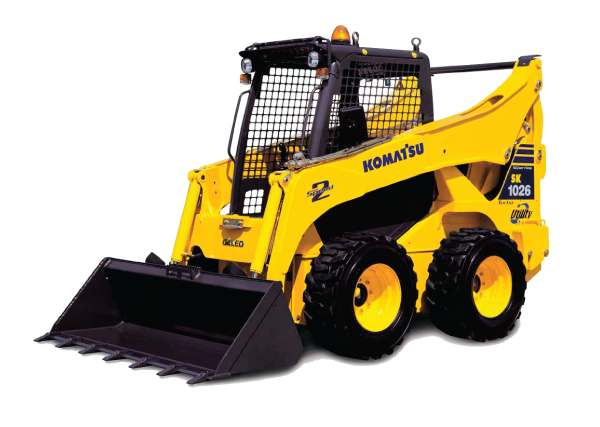 Highly versatile and compact, the SK1026-5 skid steer loader is the result of the competence and technology that Komatsu has acquired over the past 80 years. 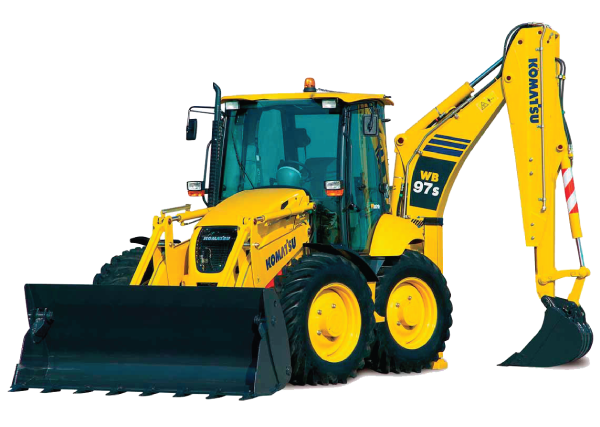 Developed with constant attention to the needs of customers from all around the world, the end product is a user friendly skid steer loader with top-class performances. use. 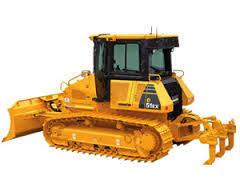 These machines perfectly combine the compactness and manoeuvrability that typically characterise the wheeled versions, with the exceptional fl oating and traction ability of the tracks to offer an ideal solution for the toughest applications on soft and slippery soil. 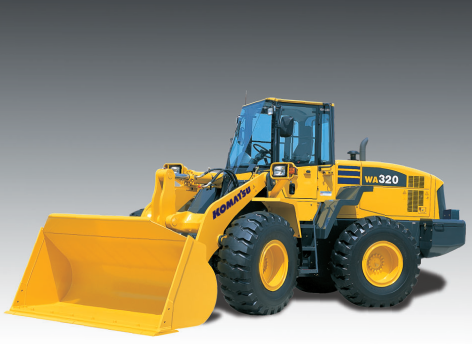 The latest generation of Komatsu backhoe loaders, which comes to market with a number of innovations. It has been developed with constant attention to the needs of customers from all over the world. The result is a user-friendly machine that offers top class performance. 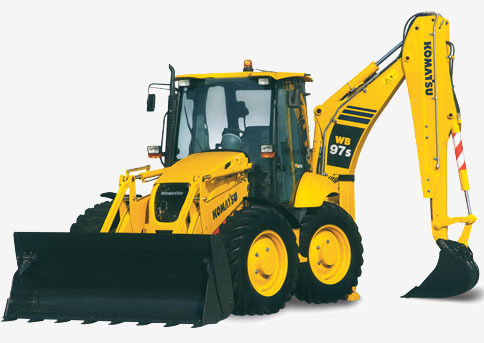 The WB93R-5 belongs to the last generation of KOMATSU backhoe loaders, which have come into the market with a number of innovations. 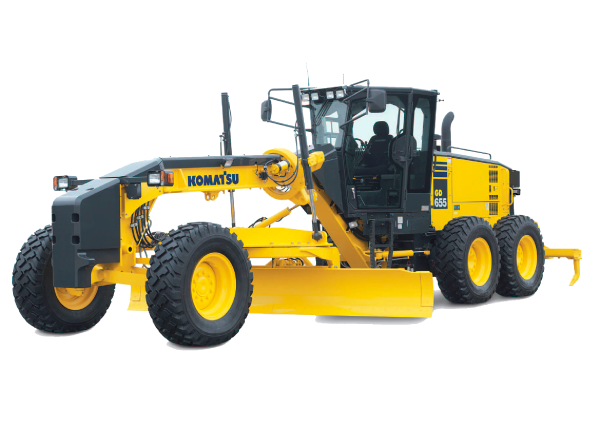 This Series tracks its origins back to the long Komatsu tradition that brings backhoe loaders to the top of their class for performance, technology and reliability. 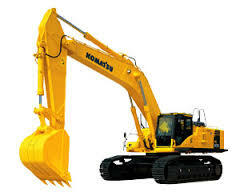 Komatsu hydraulic excavators are known the world over for their industry leading technology and innovation. But you’ll like how their speed and production boost your bottom line. With up to six working modes, a Power Max button and pattern control valve, the operator can tailor his machine and its’ function to perfectly suit the job at hand and his own operating style. 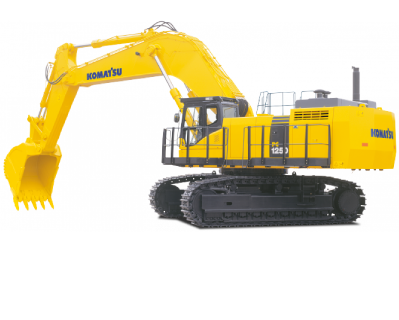 From top to bottom these excavators have great balance for lifting, power for digging, flow and versatility for attachments and reliability to put a smile on the face of your maintenance manager as well as your accountant. The PC88MR-8 has a swing boom, tight tail swing, three track options and backfill blade like a mini but is built to have the reliability and durability of larger excavators. This unit incorporates the latest technology, ergomics and features to ensure high productivity at a minimal operating cost. 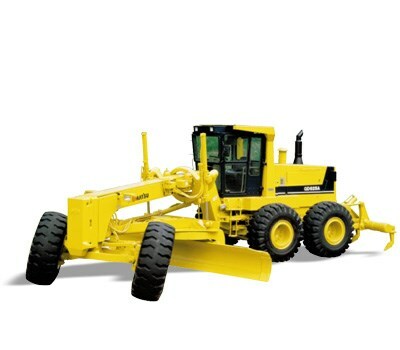 It is an integrated design which now includes a host of standard factory installed items, such as: Large ROPS Cabin, Emergency Stops, Quick Hitch and Attachment Piping to name a few! This holistic approach means piece of mind and compliance with industry and customer expectations; additionally, it ensures a quiet environment for the operator. 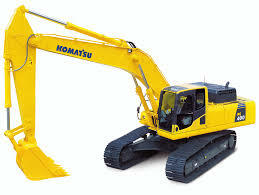 The Komatsu Dash 8 excavators have been founded on an impeccable lineage of proven thoroughbred machines. 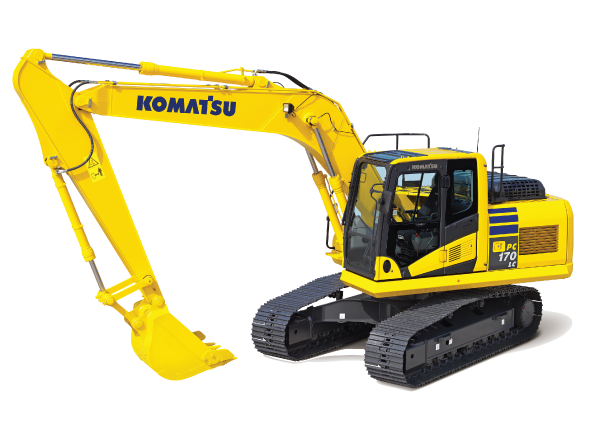 A powerful, turbocharged and air-to-air aftercooled Komatsu SAA6D107E-1 provides 110 kW 148 HP. This engine meets EPA Tier 3 and EU Stage 3A emissions certified, without sacrificing power or machine productivity. 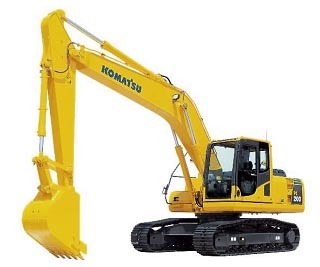 A powerful, turbocharged and air-to-air aftercooled Komatsu SAA6D107E-1 provides 125 kW 168 HP. 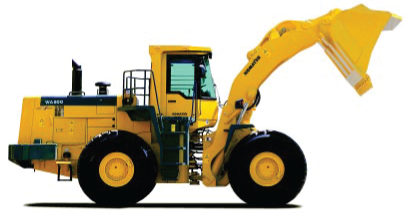 This engine meets EPA Tier 3 and EU Stage 3A emission regulations, without sacrificing power or machine productivity. 140 kW 187 HP. This engine meets EPA Tier 3 and EU Stage 3A emissions certified, without sacrificing power or machine productivity. The PC300-8M0 incorporates a holistic, integrated design with a host of standard factory installed items to provide piece of mind and compliance with industry expectations. 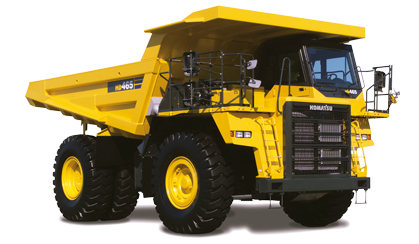 It combines Dash 8 quality and performance with new fuel saving technology to further improve fuel efficiency, upgraded monitor / KOMTRAX functionality and high capacity air conditioning with increased cool down performance. 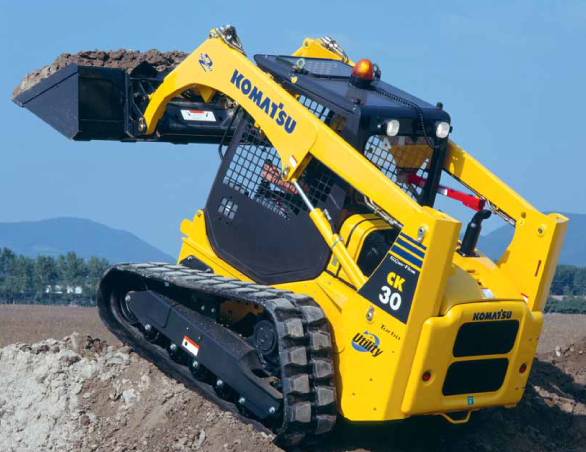 The PC350-8 is a rugged, productive, all-European machine. 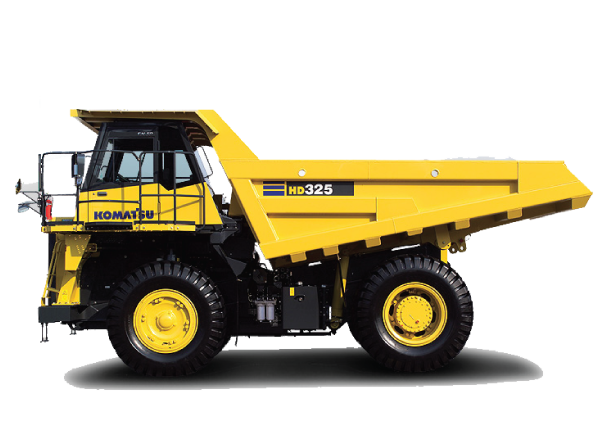 Designed and expressly built for European markets, it delivers outstanding productivity, reliability and operator comforts in a robust, environmentally friendly package. 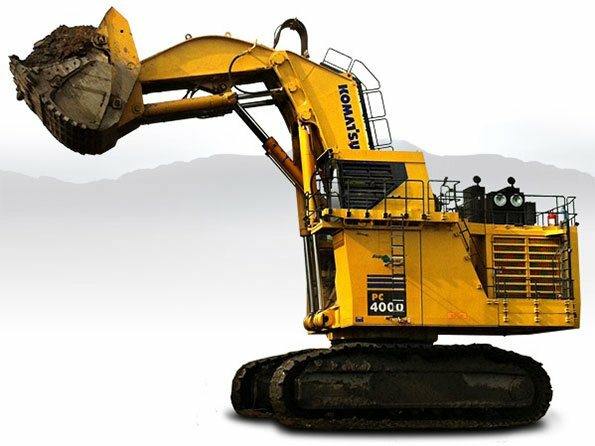 Komatsu’s exclusive, on-board, HydrauMind system assists in all operations, providing enhanced machine performance that’s always perfectly matched to the task. 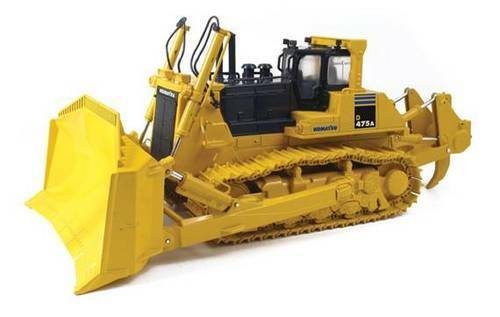 A powerful turbocharged and air to air aftercooled Komatsu SAA6D125E-5 engine provides 257 kW 345 HP. 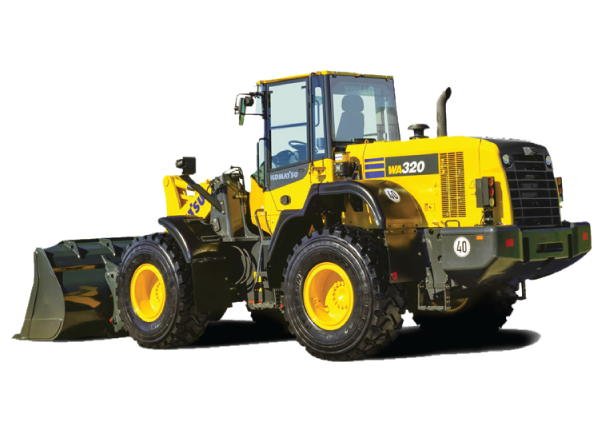 This engine meets EPA Tier 3 and EU Stage 3A emission regulations, without sacrificing power or machine productivity. 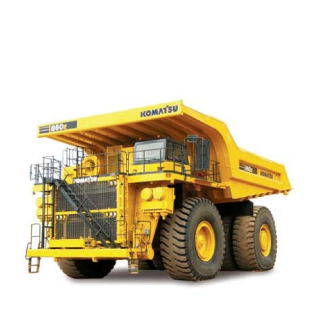 requirement with lowest fuel consumption. Meets the EU Stage 2 noise regulations. 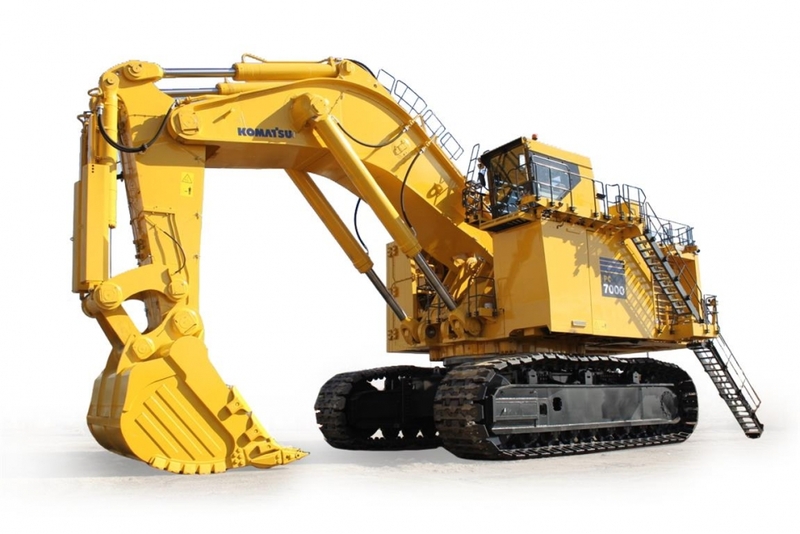 This Super Excavation (SE) unit is designed for quarry and bulk earthwork applications where high volumes are the order of the day. 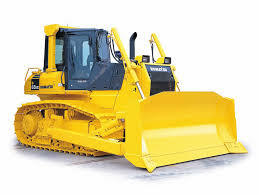 It also incorporates the latest technology and ergonomics whilst delivering low operating costs over sustained operational periods.It is an integrated design which now includes a host of standard factory installed items, such as: Large Cabin, Emergency Stops, Quick Hitch and Attachment Piping. Downward visibility is drastically improved by extending the front windshield. 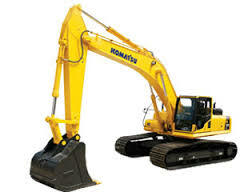 This facilitates the operator view of machine footing. New interior arrangement eliminates blind spots in work equipment side and provides clear and wide range surrounding visibility in combination with wide glass windows. 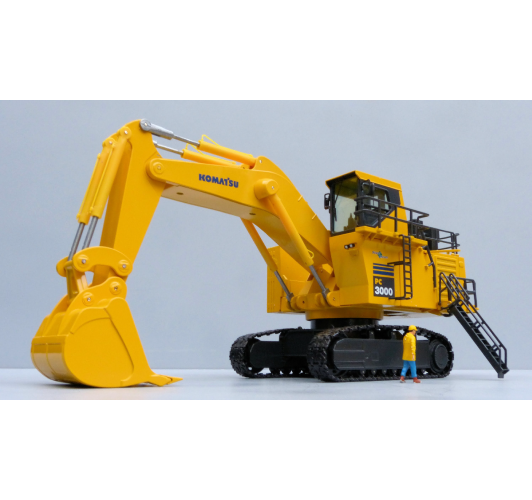 Building on the technology and expertise Komatsu has accumulated since establishment, GALEO presents customers worldwide with a strong, distinctive image of technological innovation and value. 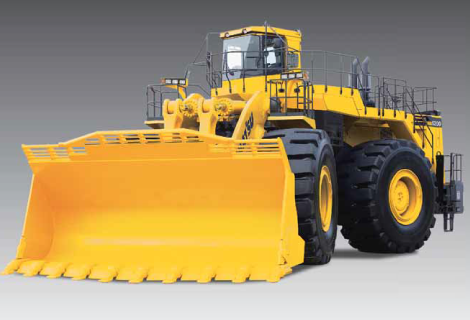 Designed for high productivity, safety and environmental considerations, GALEO machines reflect Komatsu´s commitment to contributing to the creation of a better world. Quality management ISO 9001 certified. Environmental Management ISO 14001 certified. High consistent quality through continuous investment in personnel, design and manufacturing systems and processes. 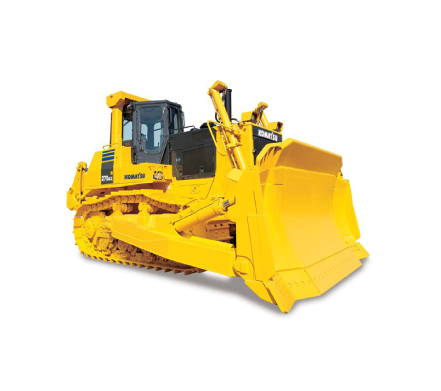 A full line of the most technologically advanced and innovative dozers anywhere. But innovation doesn’t do you any good unless it increases production and puts money in your pocket. 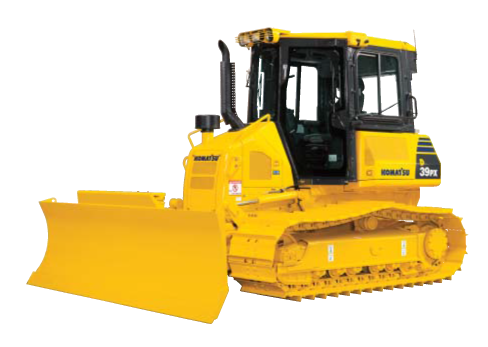 Innovation, like the 15% more productive Komatsu exclusive SIGMADOZER®blade, or the super slant dozer design which creates the best balanced fine grading dozers with unrivaled visibility. 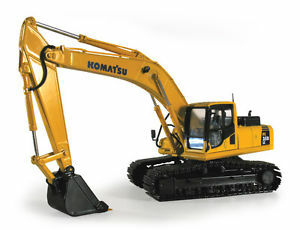 The D39EX/PX-22 incorporates Komatsu’s super-slant nose design. 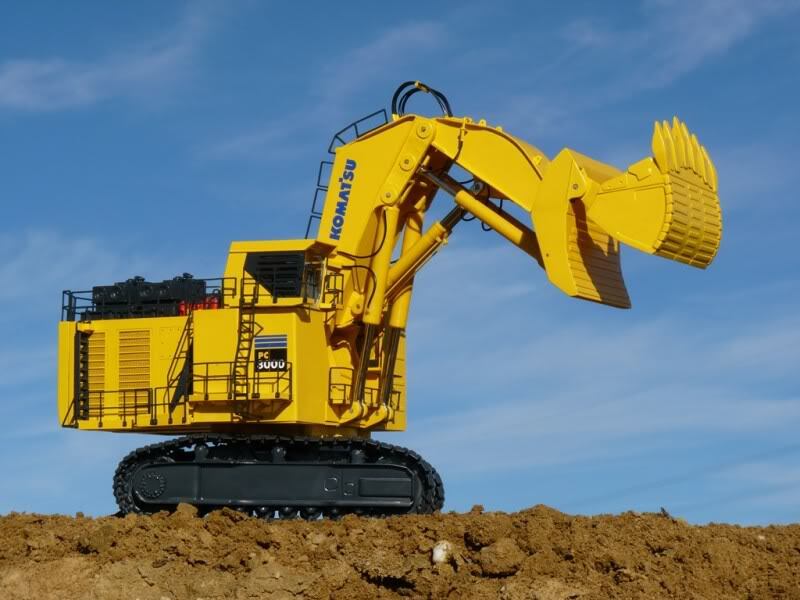 Komatsu’s innovative design provides excellent blade visibility for improved machine control and increased efficiency and productivity. 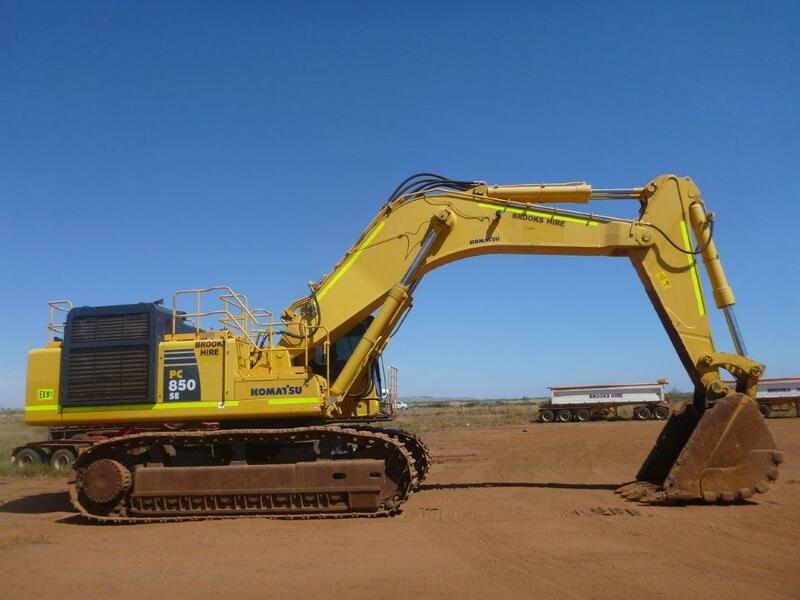 The Komatsu D51EX-22 dozer, a 13 tonne, 97kW hydrostatic drive crawler dozer fitted as standard with a straight PAT (power/angle/tilt) blade and factory plumbed to take Topcon 2D and 3D machine control systems. 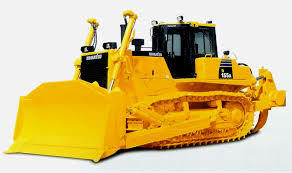 This dozer has the new ‘unique’ cab-forward design, tapered bonnet delivering industry leading visibility. 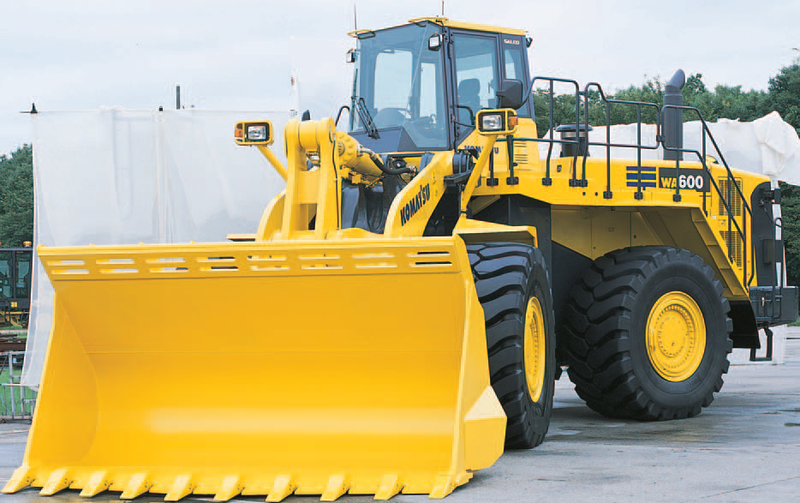 This means improved machine control which results in increased efficiency and productivity.The unique cab-forward design on Komatsu’s new series of small and mid-size dozers has been achieved by moving the radiator to the rear – which also allows for excellent access to engine and transmission components providing easy maintenance of these main components. 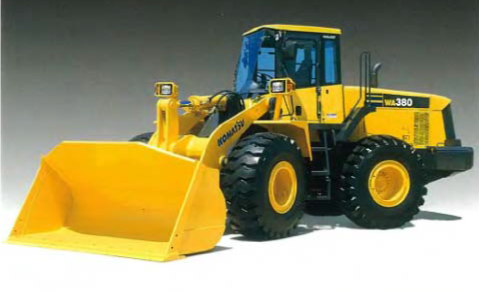 Building on the technology and expertise Komatsu has accumulated since establishment in 1921, GALEO presents customers worldwide with strong, distinctive image of technological innovation and exceptional value. 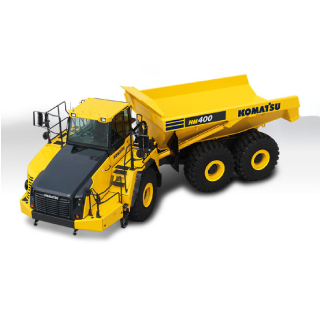 The GALEO brand will be employed for Komatsu’s full lineup of advanced construction and mining equipment. 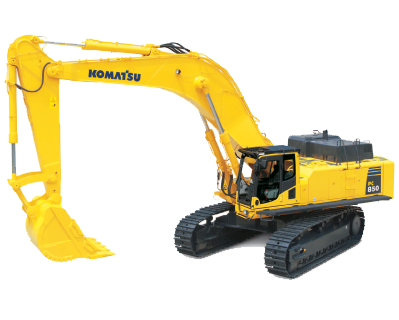 Designed with high productivity, safety and environmental considerations in mind, the machines in this line reflect Komatsu’s commitment to contributing to the creation of a better world. 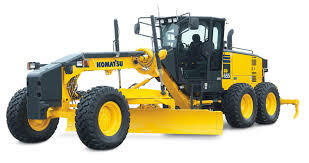 Easy to learn and easy to operate left hand joystick controls all tractor motion, while right hand joystick controls all blade functions for accurate grading and high productivity. Simple hull frame and monocoque track frame with pivot shaft for greater reliability. Double-reduction final drive of spur and planetary gear sets to increase tractive effort and reduce gear tooth stresses for long final Engine emissions fully complies with proposed Stage II exhaust emission regulations. 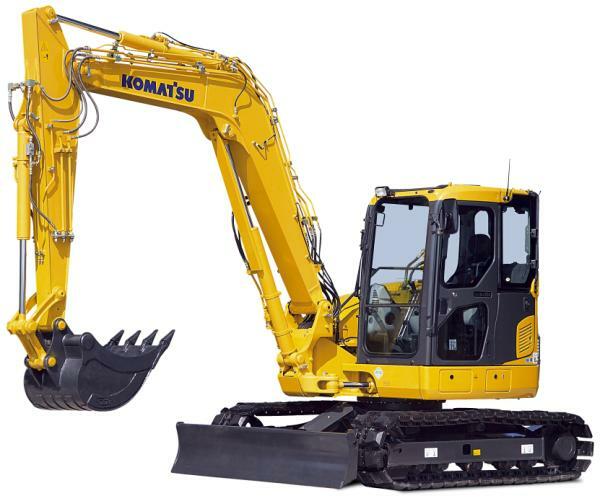 Komatsu-integrated design for the best value, reliability, and versatility. 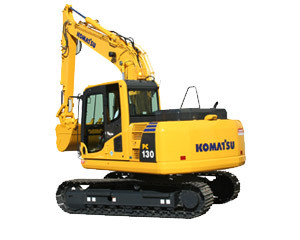 Hydraulics, power train, frame, and all other major components are engineered by Komatsu. You get a machine whose components are designed to work together for higher production, greater reliability, and more versatility. 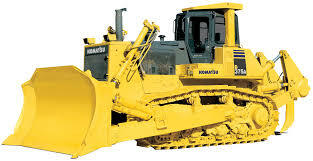 Motor Grader is a Heavy Equipment having for main function to level ground. 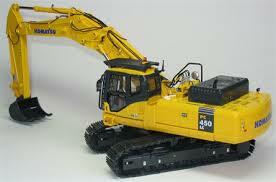 Generally,Motor Grader take the form of a long vehicle having a blade under his frame. 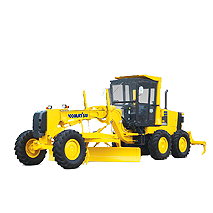 Therefore, Motor Grader is often used for snow removal, paving and all works requiring precise ground levelling. 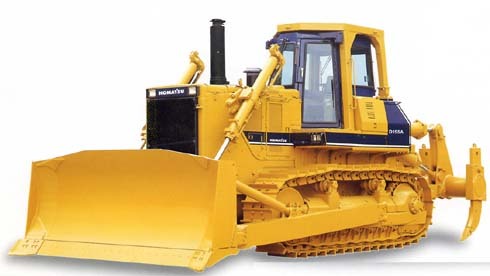 The motorgraders have a structure like a flanged box section. To increase durability and strength of the equipment, side plates have been installed. It is so durable that the guards won’t get bent out of shape or twisted from the forced generated on the blade. 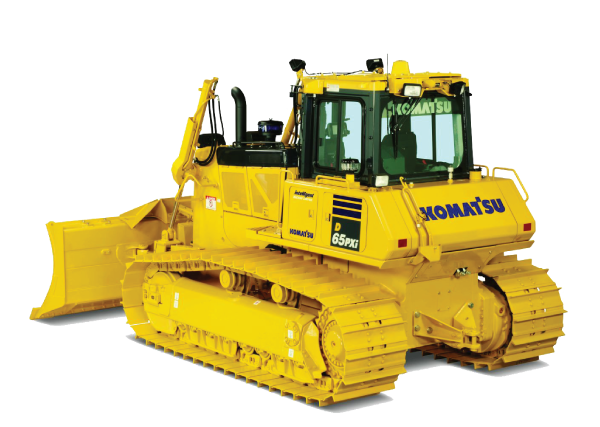 KOMATSU 6D125 and S6D125 have a diesel engine that can deliver 16kW (155HP) and 134kW (180HP), more than what is actually needed. With the torquerise, there is a 30% in the 155HP engine and 13% in the 180HP engine. 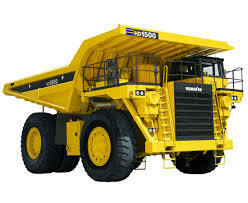 This will help the engines give unrivalled performance while involved in heavy duty jobs. transmission then shift automatically between gears four though eight up to the operator selected maximum gear. 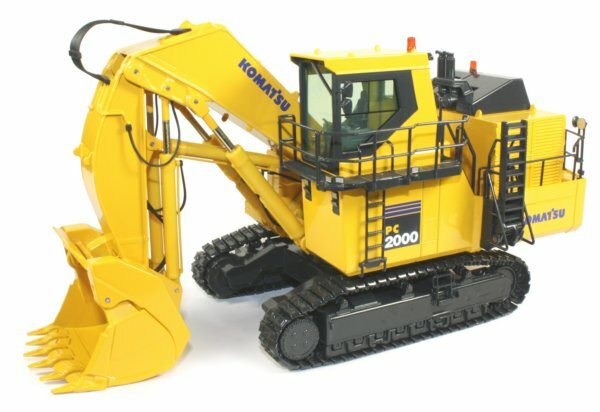 For WA200-5 the operator can change direction with a touch of his fingers without removing his hand from the steering wheel. Solid state electronics makes this possible. 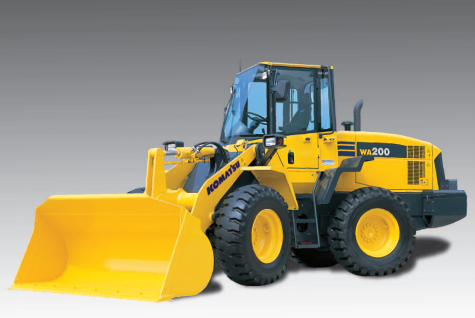 The WA320-5 has a turbocharged air-to-air aftercooled diesel engine providing an output of 124 kW 166 HP. The WA430-5 has a high fuel injection in the engine thus providing optimum fuel consumption at both low and high spees/power appliacation. 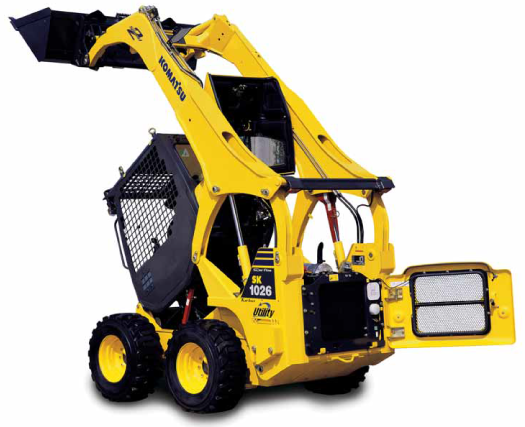 The WA470-5 has a low noise engine, hydraulically driven fan and hydraulic pumps are mounted with ribber cushions. the operators cab ceiling is improved to provide a quiet low vibration, dustprof and a comfortable operating environment. Powerful, rugged, environmentally friendly and comfortable: The new WA500-3 is the perfect choice for all heavy-duty work. 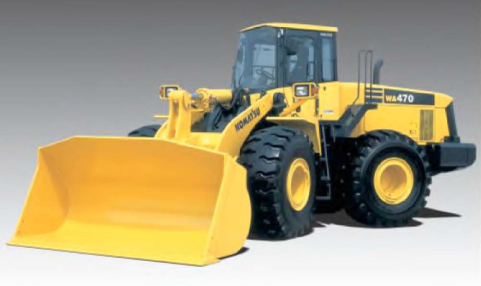 Equipped with the Komatsu SA6D140E-3 low emission engine with common rail fuel injection, this exceptionally robust wheel loader offers maximum power output. 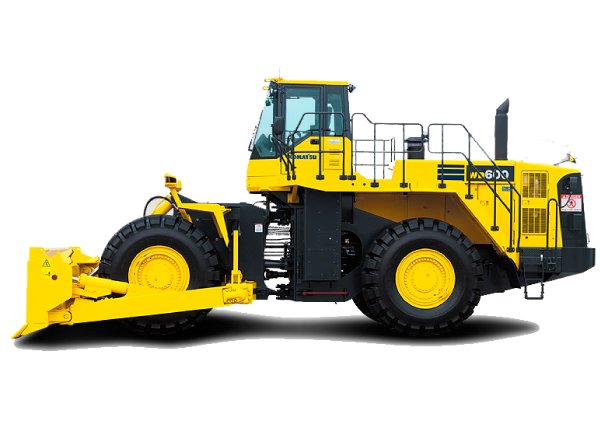 The new driver’s cab is one of the most spacious in its class and, in addition to unsurpassed driving comfort, it provides an optimum view of the bucket and wheels. The engine, transmission, hydraulic components and electrical parts were undergone strict quality control for reliability and durability. Durable buckets are made from high-tensile steel with replaceable bolt-on wear plates for prolonged bucket life. All controls are also ergonomically designed to minimise operator fatigue. 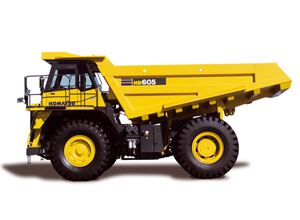 The WA600 can load 60t (70 Short ton) trucks withstandard boom. 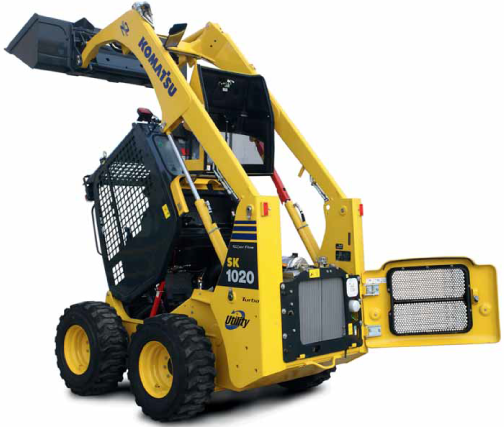 The WA600-3 required an optional high lift boom and 6.4m3 bucket. The WA600-6maintains good visibility for loading because of increased operator cab height. 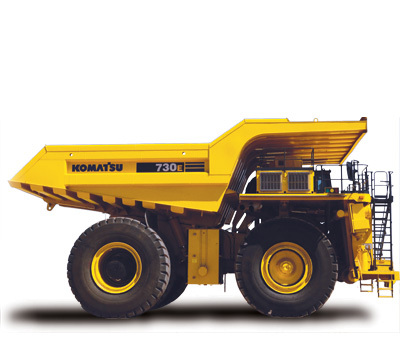 The WA700-3 is designed with ample dumping clearance for dump truck loading. 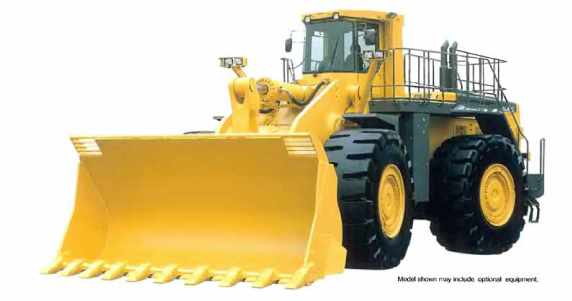 It has a wide tread 3,000mm (9’10”) and the longest wheelbase in its class 4,800mm (15’9″), for maximum machine stability. 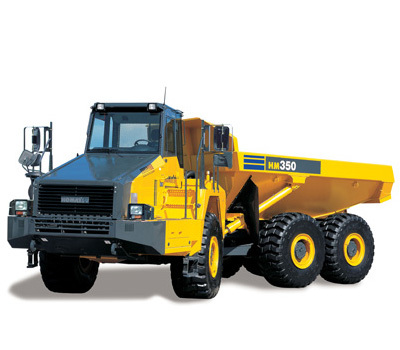 WA800-3 has an electrically controlled transmission than enables fingertip control of all direction/gear shift changes. It is also made using high quality components for superior reliability and availability. 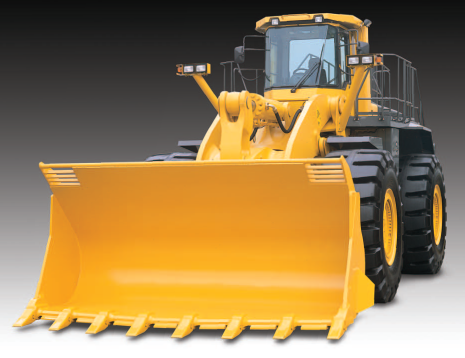 achieves high bucket fill factors and maximum production, able to outproduce other loaders. 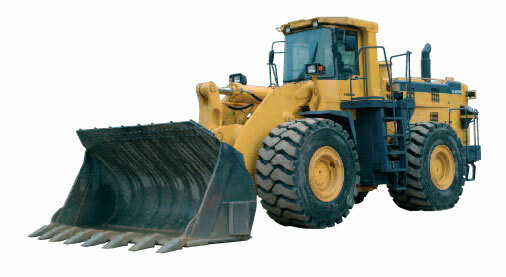 The WD600-3 has an operating weight of 94,580 lbs, which is 155% heavier than the average full-size wheel loader. With a net power output of 485 HP, it is 146% more powerful than a typical competing model in its class. 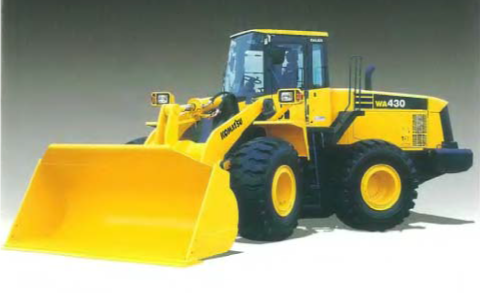 The WD600-3 has a standard bucket capacity of 10.50 cu. yd., meaning it can carry 6.58 cu. yd. 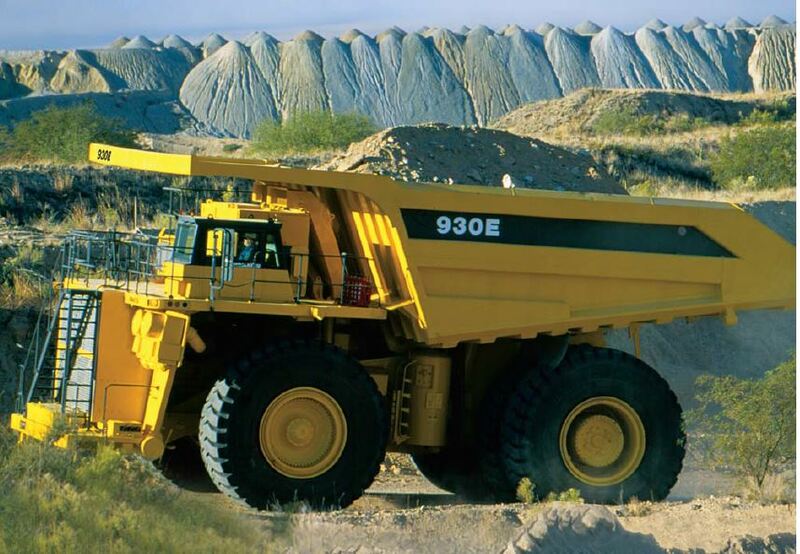 more than the load expected of a typical full-size wheel loader. Traveling at speeds up to 4.0 mph, it is 17.7 mph slower than the average competitor. 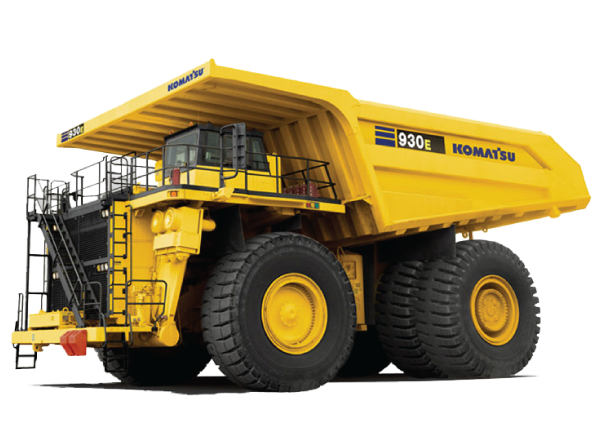 With their powerful engines, exceptional strength and state-of-the-art design, Komatsu articulated dump trucks transport heavy loads quickly, easily and cost effectively in both wet and dry conditions. 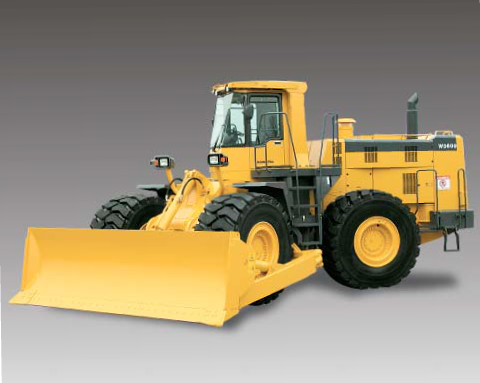 All the components are designed to handle gruelling daily stresses for maximum reliability. 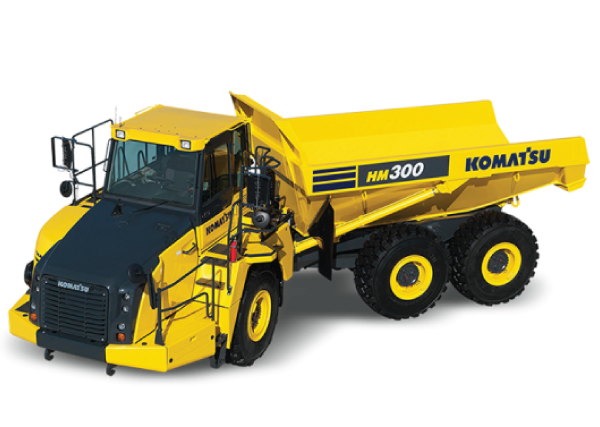 A wide target area makes for easy loading with minimal soil spillage and more efficient hauling. The body is built of 160 kg/mm2 227,520 PSI wear-resistant high-tensile steel with a Brinell hardness of 500. The V-shape design also increases structural strength, and provides excellent load stability. 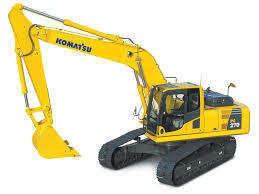 Powerful turbocharged and air-to-air aftercooled Komatsu SAA6D170E-5 engine provides 533 kW 715 HP (Net). This engine realizes high power in low fuel consumption with Common Rail Injection system (CRI), and thus it delivers higher travel speeds with high horsepower. 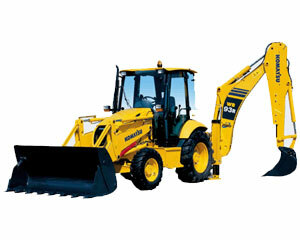 Also high torque at low speed, impressive acceleration, and low fuel consumption ensure maximum productivity. The 5-way adjustable operator seat and the tilt-telescopic steering column provide an optimum driving posture, for increased driving comfort and more control over machine operation. 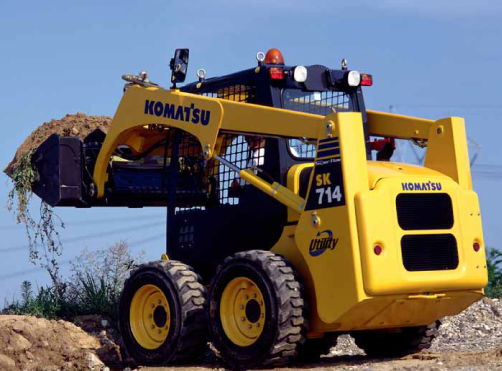 The suspension seat dampens vibrations transmitted from the machine and reduces operator fatigue as well as holding the operator securely to assure confident operation. 78mm 3″ width seat belt is provided as standard equipment. Cummins Cense monitoring and pre-lubrication. 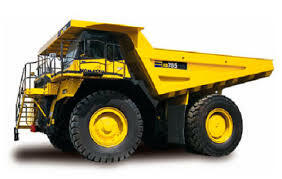 Electric Drive Truck uses one or more electric motors or traction motors for propulsion. it may be powered through a collector system by electricity or may be self-contained with a battery or generator to convert fuel to electricity.